We all know that as our seniors age, they become more susceptible to external forces that affect them both physically and mentally. An example of this can be seen in the aftermath of Hurricane Sandy. On top of causing physical damage to the property and landscape in the Eastern United States, Hurricane Sandy brought about an “invisible” damage, impacting the mental health of seniors living in the area. Fortunately, the federal government is rewarding a $1.5 million grant to a non-profit organization that will research the mental health effects of seniors who faced Hurricane Sandy. The research will aim to “develop an ‘action plan’ in the event of another disaster” and also help ensure that future health initiatives fully address the needs of seniors affected by the Storm. Although the results of the study will not be released until July 2014, we can hypothesize how in-home care may be beneficial in helping seniors recover from Hurricane Sandy. Not only that, but we can also observe how a comprehensive home care software or home care system can help facilitate a senior’s recovery to good mental health. The great thing about in-home care is exactly in its name—it allows the recipient of care to stay in the comfort of their home, or in an environment that they are most comfortable without having to relocate somewhere foreign. A consistent living environment allows the care recipient to age peacefully without having to readjust habits and learn where and how to perform daily tasks. Especially for someone who faced a disaster like Hurricane Sandy where their entire living environment shifted overnight, it is important to maintain a consistent living space to promote a stable recovery after experiencing something so traumatic. In addition to maintaining a consistent living space, home care also allows seniors to build relationships and connections with others as they recover from the trauma of having been through a Hurricane. These connections are made between the care recipient and caregiver and can help promote mental health through companionship, as well as help prevent depression from isolation. Always find an available caregiver: Oftentimes, your caregivers may come to you with an emergency and are not able to meet with a client for their scheduled shift. In the time that you find out about this, you may not have enough time to find a replacement to assist the client. However, with a home care system, you can quickly find available caregivers who have the skills to assist a client in a matter of minutes. Doing this ensures that you are not leaving a senior alone on the date and time that they need and requested services. It’s extremely important to monitor this so that your seniors are always accompanied by someone when they need it the most. Know which caregivers should and should not be sent: As discussed above, an important part of helping Seniors recover from the Hurricane Sandy disaster is to provide them with some kind of consistency. You can easily do this with a home care system or home care software by categorizing caregivers on a per-client basis to ensure that certain caregivers (i.e. 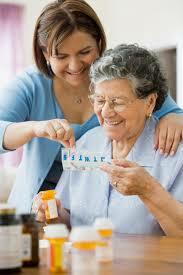 caregivers who the client is unfamiliar with) do not get sent to the senior’s place of residence. Managing who does and does not get sent to a client’s home will ultimately provide a senior with a consistent living environment and with a consistent flow of familiar faces who they can build connections with. Track and communicate progress: With a home care system, you can make progress notes about a senior’s mental and behavioral well-being. These notes can include general visits, conversations with the care recipient, or information on any identifiable triggers. All of these notes are accessible by administrative staff within the home care software system so that everyone has a comprehensive understanding of the individual’s background and care needs. Whether or not a senior faced a natural disaster like Hurricane Sandy, we all can join hands to ensure that our seniors are aging safely and healthily in place. The services provided by home care agencies are a big step forward to maintaining the physical and mental health of our seniors, and the software that these agencies use only help to ensure that our seniors are getting what they need.